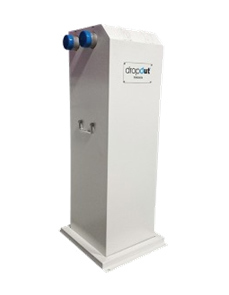 DROPOUT® compressed air treatment product group. 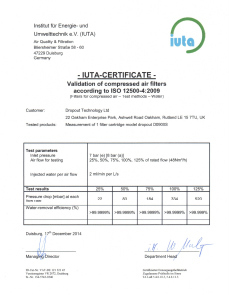 Saving customers money, energy, time and eliminating the need for disposable filter consumables. 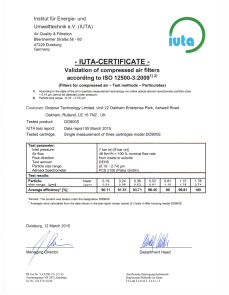 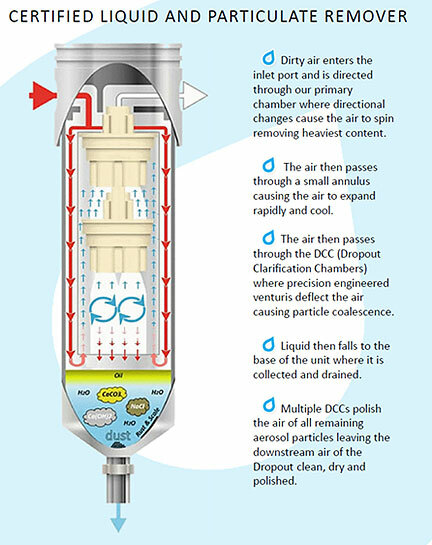 DROPOUT® is a unique, scientifically engineered, patent protected Compressed Air Filter that removes 99.9999% of Liquid (Water & Oil) and 99 % solid particulates down to 1 Micron. 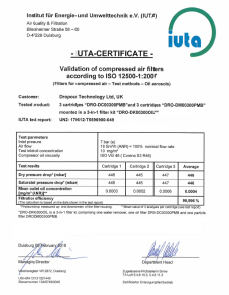 This unique multi stage Compressed Air Filter requires NO Replacement Filters, and once fitted, the ongoing servicing costs are ZERO. 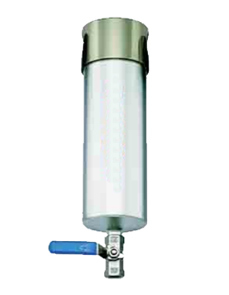 If your objective is to remove water from a compressed air supply at point of use you should try this product. 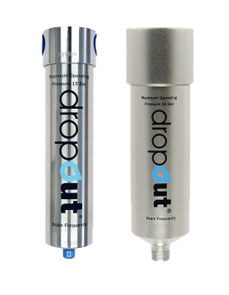 Dropout® compressed air treatment product groups. 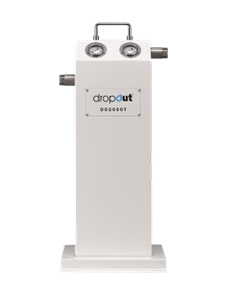 We believe you will be surprised by DROPOUT efficiency. 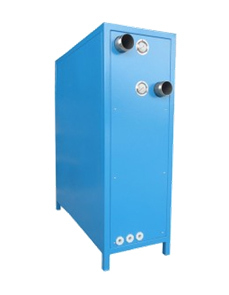 Please Watch the animation and video which provide you better understanding about how the filter works, highlighting benefits of choosing this unique solution.